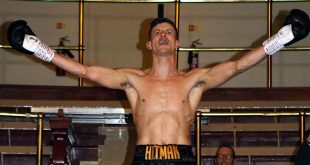 Friday night at the Kingsway Leisure Centre in Widnes, England, Matchroom Sports hosted a fight night headlined by the British Light Welterweight title clash between Paul McCloskey and Dean Harrison with a superb lineup of undercard bouts. 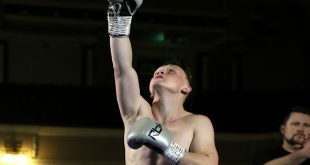 Scottish boxer and British Featherweight titlist Paul Appleby faced Juan Garcia Martin of Tenerife in a six round non-title featherweight contest. It was all action right from the bell and the Tenerife boxer was ‘scrappy’ - being warned almost immediately for hitting the back of Appleby's head. Appleby kept focussed and was the more accurate of the two. In the last minute of the first, Appleby lands a body-shot which causes Martin to gasp. Appleby follows up with a right, then a left to the head of Martin and referee Phil Edwards quickly jumps in to stop the contest. Appleby wins by first round stoppage. 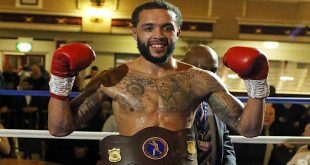 His record now stands at 14-0 (9) and he will go onto face challenger Martin Lindsay for the British Featherweight title in April. Next up was Barry McGuigan's young protégé - Troy James of Coventry - who faced Ibrar Riyaz of Reading in a four round featherweight contest. Riyaz came out with ‘guns blazing’ in the opening half minute, forcing James on the backfoot, but a peach of a left hook hit the face of Riyaz and his legs wobbled momentarily. Riyaz covers up but still manages to throw some punches. James seems to have gained some control by the end of the round and has Riyaz under pressure in the closing half-minute. In round two, Riyaz lands some good right and left punches to the head of James. James goes for the body-shots and both men keep up the pace. It’s still fast and furious in the last round and as they slug it out in the closing seconds - James lands a right, then a left and an uppercut and Riyaz looks like he might be stopped as he’s pressured back on the ropes. But the bell sounds the end of the contest and Troy James’s arm is raised aloft by referee Steve Grey. It's a tough second successful fight for Troy James. Sky Sports Statistics reveal that James landed 81 of 382 punches as opposed to Riyaz’s 45 of 302. McDonald dominated the fight - landing some accurate shots in the third resulting in Baileys’ corner pulling him out at the end of round three. 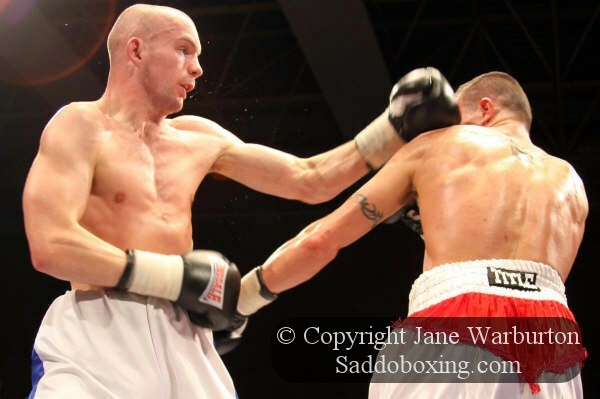 Nick ‘2Slick’ McDonald improves to 2 wins, both early and 1 loss from a cut stoppage. Eight round light welterweight contest. Williams lands with some accurate right punches to the head of Higginson in the first minute of the fourth and almost throws Higginson against the ropes. ‘Dezzie’ looks dazed - his legs unsteady as he almost staggers across the canvas causing referee Steve Grey to call a halt to the contest. Williams wins by TKO round 4. His record now stands at 7-0 (3). Despite taking the fight at just 12 hours notice - Hanna put up a good effort against tough southpaw Ward to take him the distance on Ward's pro-debut. 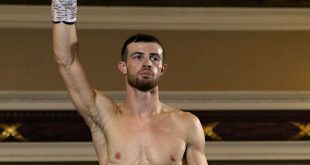 Ward wins on points to notch up his first professional win. Noble never got in to this fight. In round two, he didn’t throw a single punch until the last 20 seconds of the frame, when he landed two of nine thrown, instead covering up tight against the powerful southpaw Proksa. But even then - he still got caught with the shots and his torso and face were visibly reddened from the numerous blows that Proksa landed. Noble's trainer Brendan Ingle was clearly angry as he gave Noble a stern talking to during the intermission. Round three sees Noble continue to cover up without throwing anything back at a persistent Proksa. Noble's corner throw in the towel with just over two minutes of the third remaining. 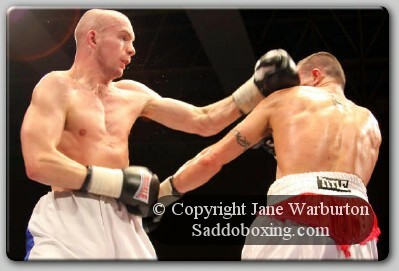 ‘Super G’ Proksa, wins by TKO round three and improves to 17-0 (10).